CHESTERMERE – Chestermere Utilities Incorporated recently conducted a customer survey, asking our customers for feedback on the services we provide. CUI is continuously looking at ways to improve our customer service. To thank customers for taking the time to complete the survey, CUI offered participants the chance to win a full year’s waiver of their fixed charges for water, wastewater, stormwater and solid waste services. All completed surveys were included in the random draw and we are pleased to announce that Leonard and Annie Pitchford were the lucky winners and have won a full year’s waiver of their basic utility service fees for 2014. The short multiple-choice survey asked residents about the quality of their utility services including: their water pressure and color, if they have experienced any sewer issues, and garbage bag limits. One of the featured sections asked about the Chestermere’s recycling services and if residents would be in favour of CUI possibly expanding this service in the future. 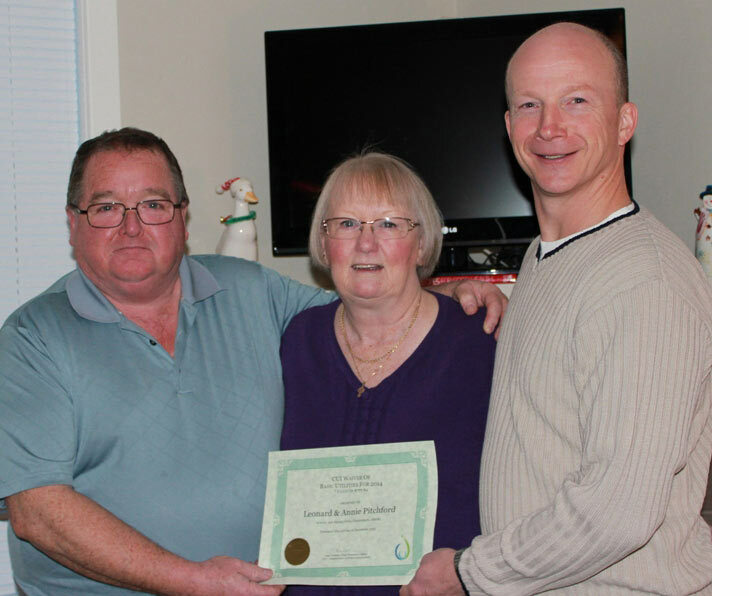 Having recently moved to Chestermere, the Pitchford’s were quite excited to learn they had won the draw and are looking forward to saving the additional money from their bi-monthly utility bills. “Providing our customers with excellent service is one of our key priorities and this Customer Survey was one of our main Corporate Objectives for 2013,” said CEO Don Roberts. “We conducted this Survey to gather critical feedback from our customers, which will help us make sound, strategic business decisions that will further meet our customer’s expectations as we go forward,” stated CEO Roberts. CUI will be posting information about our 2013 Customer Survey results in the coming weeks on their website. Chestermere Utilities Incorporated (“CUI”) was formed in 2011, and became operational in 2012. CUI is responsible for delivering reliable and safe water, handling waste water and storm water, providing solid waste services as well as operating a recycling center at the Town of Chestermere’s Public Works yard.